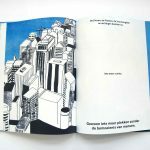 Parlement der Dingen is a special book by graphic artist Alice Mulder and writer Fien Veldman, about the first meeting of the Parliament of Things. 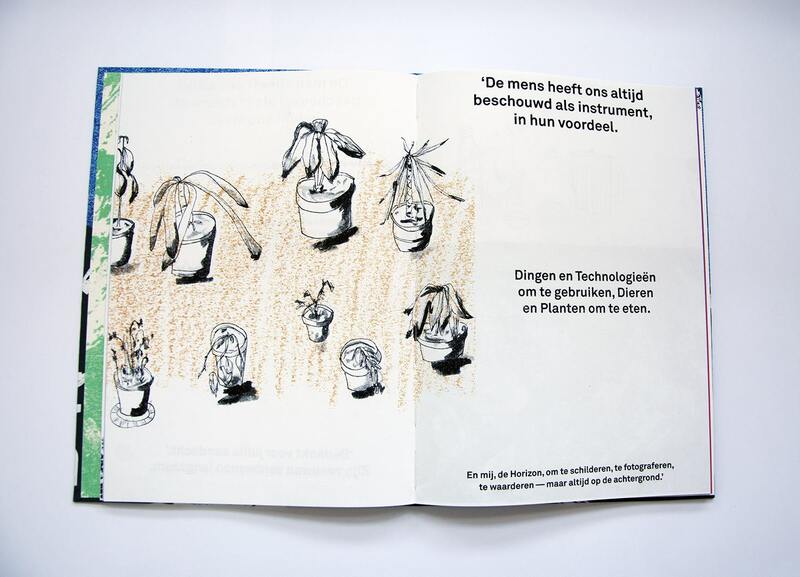 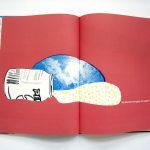 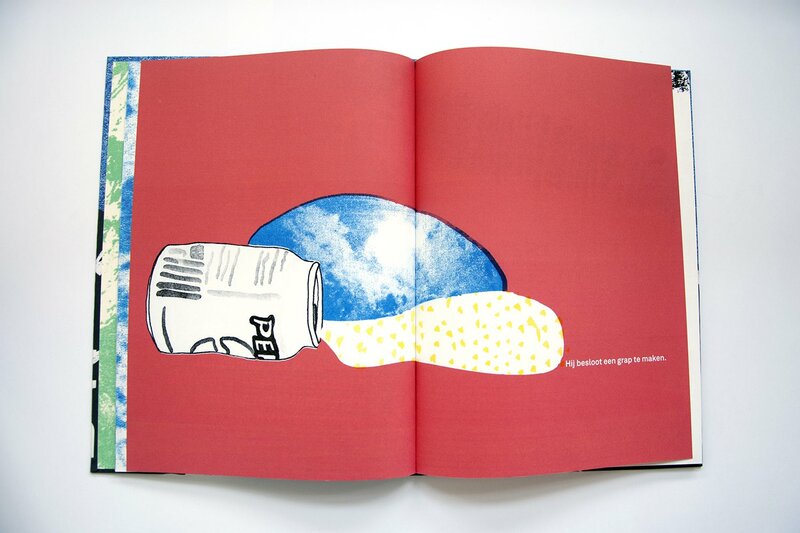 The book was printed by hand with special riso techniques and talks about the first meeting of the Parliament of Things. 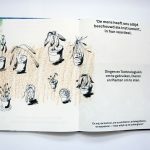 The Things decide to have their own political meeting to discuss how they are treated by People: the shy Horizon overcomes his nervousness and gives an impressive plea. 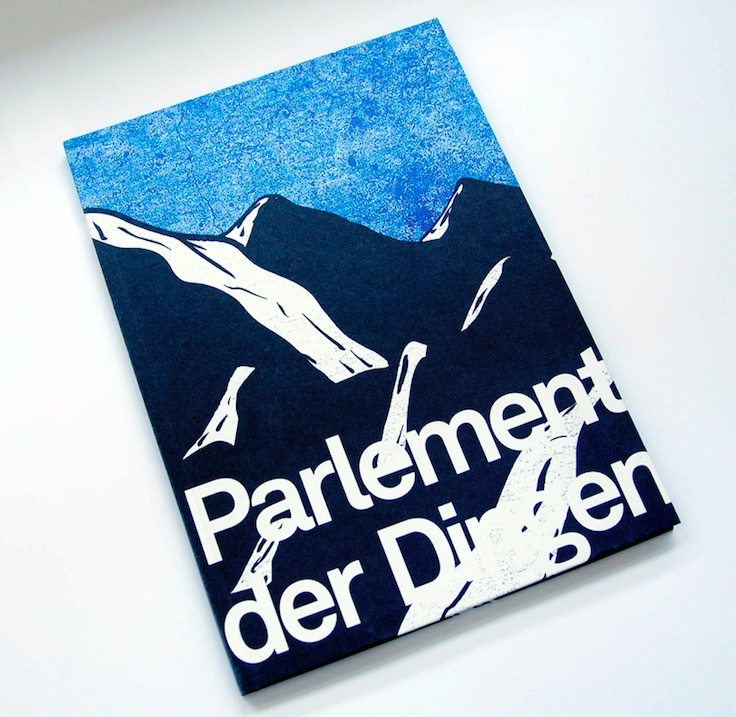 In a original, funny and moving way, Parlement der Dingen tells about the relationship between man and nature. 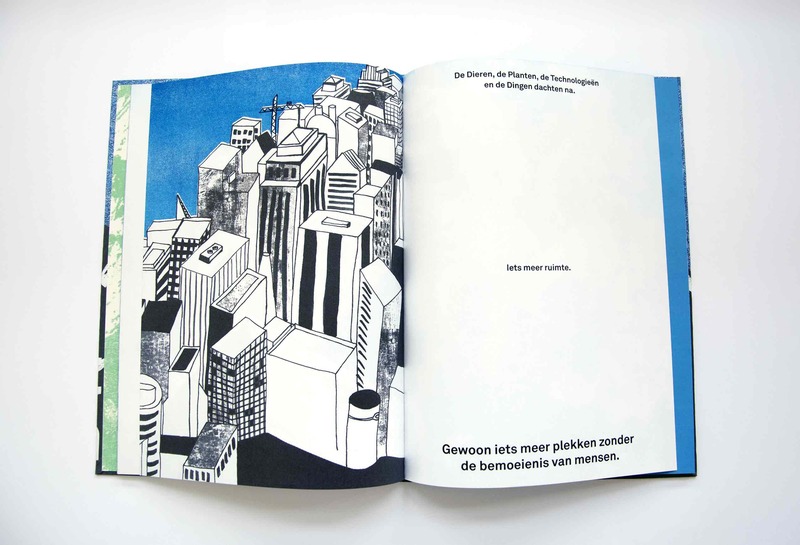 Language: Dutch.